Shop Shure RK143G Replacement Grille for SM58 from AMS and enjoy Fast & Free Shipping. The Shure RK143G is the factory original replacement grille for the Shure SM58 wired microphone and Shure SM58 wireless microphones. 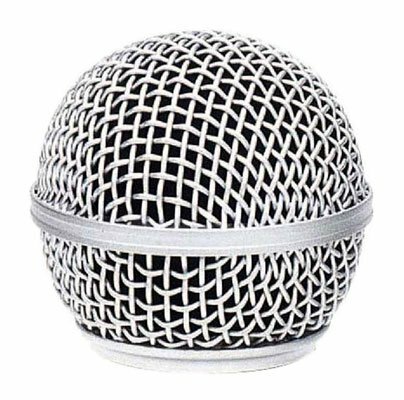 The RK143G grille provides optimal sound quality and protects the microphone diaphragm from damage. Knock off brands dent very easily. I tend to be hard on my Shure mics and that is why I only buy Shure RK143G replacement grilles. Pretty good product for the money.